We never cut corners operating the Gulf's premier cellular network. Because we know how vital your offshore communications are. 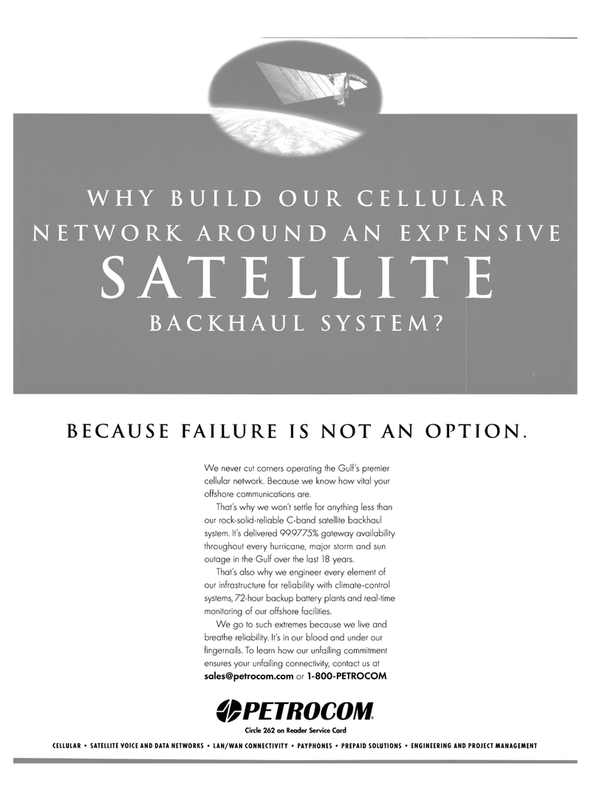 That's why we won't settle for anything less than our rock-solid-reliable C-band satellite backhaul system. It's delivered 99.9775% gateway availability throughout every hurricane, major storm and sun outage in the Gulf over the last 18 years. That's also why we engineer every element of our infrastructure for reliability with climate-control systems, 72-hour backup battery plants and real-time monitoring of our offshore facilities.